The bus accident that took the lives of 10 adults and teenagers in Orand, California, is currently under investigation. The driver of a FedEx truck appeared to lose control of his vehicle while changing lanes, crossing the median on Interstate 5 to hit a tour bus in a head on collision. The tour bus was filled with high school students planning to visit the orientation program at Humboldt State University in Arcata. The tour bus was carrying 44 Southern California high school students, as well as three adult chaperones and the bus driver. Five students, three adults and both drivers of the vehicles died at the scene. Eleven other bus riders were hospitalized with injuries, although most have since been released. None of those hospitalized appeared to have life-threatening injuries. A student that survived the bus accident described the scene as “chaos” to ABC News 10, explaining he broke open an emergency window exit near the back of the bus to escape the oncoming flames and smoke. According to witnesses of the bus accident, the driver of the FedEx truck sideswiped a car before hitting the bus owned by Silverado States. The driver and passenger of that vehicle escaped the ordeal with minor injuries. Reports of a fire on the FedEx vehicle conflict among witnesses, with some saying the truck went up in flames on impact, and others suggesting that the fire may have started prior to the crash. Investigators have found no physical evidence of the truck being on fire at the time that it crashed into the bus. When the collision occurred, both vehicles erupted into flames. Bus passengers had to climb through windows as the fire made its way from the front to the back of the bus. Authorities are continuing to work to identify crash victims, which will require dental records to obtain positive IDs. Investigators looking into the crash stated there were no skid marks to indicate the FedEx truck driver made an attempt to slow down or maneuver the vehicle to avoid a crash. In contrast, there were 145 feet of tire marks from the tour bus. Witnesses said the driver of the truck appeared to lose control, although the vehicle was straightening out at the point of impact with the bus. Investigators do not know why the driver of the FedEx vehicle left the southbound lanes and crossed the median to oncoming traffic. 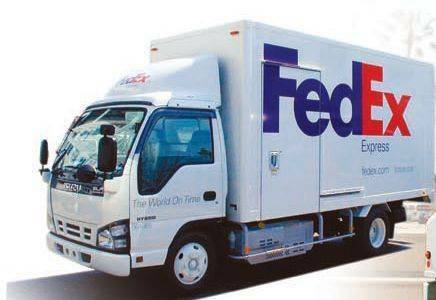 Like the FedEx bus crash, collisions with large vehicles often involve loss of life and serious injuries. Though this particular accident made headlines, commercial vehicle accidents affect the lives of Californians every day. Truck accident lawyers and bus accident attorneys are available to protect victims’ rights and help them receive maximum compensation for medical expenses, lost wages, pain and suffering. The Ellis Injury Law firm has a long track record of success winning compensation for those injured on California roadways. Our legal team provides free case evaluations and skilled legal advice to help victims on a path to justice. Our network of crash investigators and medical experts work alongside our talented legal staff to ensure you receive the highest level of legal representation. Call us today at 310-641-3335.